What do you know about Horse Health? How do maintain horse health? As a new horse owner, what costs are associated with horse health? Owning a horse is a great experience. Unfortunately, horses aren’t maintenance free. We wanted to answer these questions and more so we reached out to our reliable source of information and local expert on horse health, our veterinarian Dr. John Tolley. 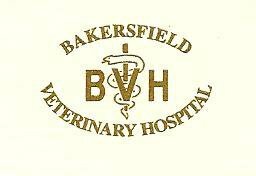 Dr. Tolley is a partner at Bakersfield large Animal Veterinary Hospital. With more than 20+ years of experience, he knows horses. On this show, you learn about horse feed requirements and supplementation. Plus, we tell you what vaccinations and worming products you need. Dr. Tolley talks about the importance of equine dentistry, too. Everything concerning horse health is covered in this general conversation. Dr. Tolley says he will come back and share more thoughts on horse health. If you have a topic you would like to see us cover, please shoot me an email. Dr. John Tolley joined Bakersfield Veterinary Hospital‘s large animal practice in July 1983. Growing up in northern San Diego county, he attended the University of Arizona, where he graduated with distinction majoring in agriculture and animal science. 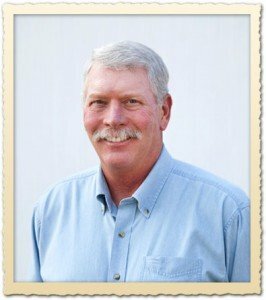 Dr. Tolley earned his Doctorate of Veterinary Medicine from the University of California, Davis, School of Veterinary Medicine and is a member of Phi Zeta, the veterinary medicine honor society. Thank you for this podcast with Dr. Tolley. I am a prior client of Dr. Tolley with my horses (Abigail, Wiatt and few others who have now passed on) for many years prior to moving to Oklahoma. This is a wonderful piece of advice that all new and even seasoned horse owners should listen to. My horses grew up eating Alfalfa and done very well on it. As I moved to Oklahoma where Bermuda grass is most common, Alfalfa has a bad stigma to the locals. Blister Beetles are a great concern; otherwise, people shy away from Alfalfa assuming it will make their horses “hot” headed or cause liver failure. 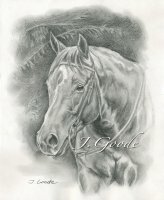 I believe the quality, quantity are important as well as knowing each individual horse’s needs. Abigail’s condition greatly changed out here over the last 7 years. As we are moving to Oregon, I hope to be able to access Alfalfa hay and get her on a better diet that meets all her needs that is hard to find in Oklahoma. I will shoot you an email as I would like to request Dr. Tolleys or Dr. Filkin’s knowledge on E-coli and Salmonella in Equines. I just lost my 17 year old Belgian Mare in February to Salmonella. Her necropsy was done at Oklahoma University and also showed traces of E-coli. Although her actual cause of death was undetermined as she quietly passed away after (exploratory) surgery that also resulted in them cleaning/flushing her out. This was performed at Oklahoma Vet Hospital when the 2 months of treatment was not getting her better with no other treatments available besides Euthanasia. The contributing to her death causes where: Salmonella, E-coli and a large benign mass pushing on her portal vein to her liver. Until this occurred, I never knew such cases existed in my 18 years of horse ownership nor did I know what was causing it and how it would effect my herd of horses. No other horse owner around me has as well. In the 2 months, treatment and surgery mounted to $12,000. (Granted she is a Belgian where treatment is typically doubled compared to the average size quarter horse). Treatment can amount to a hefty bill. Abigail’s bill with BVH was well into a few thousand being treated by Dr. Tolley for Equine Purpura Hemorrhagica many years ago. As a side question, what recommended, if any at all, insurances are out there for Equine owners who run into large hefty vet bills? Thanks for the comment Stephanie. I will talk to Dr. Tolley and see if we can discuss this. Thank you and Dr Tolley for this very well presented information all horse owners will benefit from. I am interested in a follow up to this with Dr Tolley talking about equine diseases, emergencies and injuries other than colic that he sees most commonly in his practise. His practical, common sense approach and experience goes a long way toward educating those of us trying to do what’s best for the horses entrusted to our care.